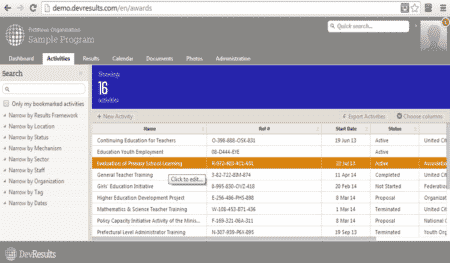 What is an Aid Information Management System (AIMS), and do you really need one? As the rest of the world is moving towards big data and cloud computing, so too is the development community. An Aid Information Management System (AIMS) is the latest buzzword for a piece of software that stores data on all your projects, budgets, activities and indicators. AIMS come in different sizes and levels of complexity. One of the simplest is M&E Online. It allows you to upload details of your projects, beneficiaries and results for each indicator. You can then produce reports for your head office or donors. At the more complex end are systems like DevResults. DevResults allows partners in different locations to log in and upload their results. It also includes maps, budgets, document sharing, photo storage, calendars, checklists, and a range of other features. 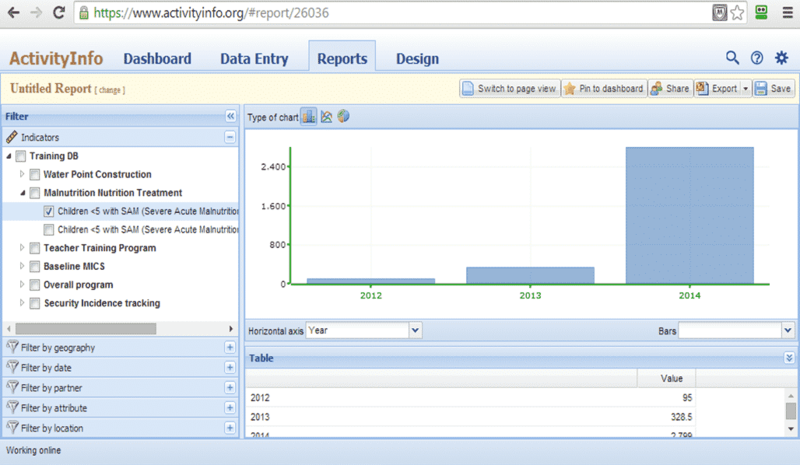 ActivityInfo is another AIMS which allows you to design your own database. It can produce a range of different maps, reports and charts for your indicators. At the most basic level an AIMS is just a storage system. It stores information about your projects, your activities and your M&E system. If your projects, activities and M&E system don’t make sense, having an AIMS is not going to fix that. Another problem with using an AIMS is that it sometimes focusses too much attention on the indicators, and not enough on whether a program is actually working. If a partner or local team believe they will be judged solely on what goes into the AIMS they may focus all their energy on achieving the targets, even if those targets are no longer relevant (or completely illogical). Similarly, if managers at head office believe they can log into the AIMS and see everything about a project they might be less likely go and see it in person. An AIMS is most useful when you have a lot of projects to manage with different partners, and in different locations. If you are a small to medium size NGO, then you probably don’t need one. If you are a large international NGO, a government agency, or a donor then it could be quite useful. Some organisations decide to purchase one of the systems already mentioned. Others choose to build their own system. If your organisation is planning to build a system then check out AI Solutions’ 10 tips for developing a good data management system for M&E.